A man was arrested after he allegedly offered a women up to $200,000 to buy her 8-year-old daughter in a Walmart over the weekend, police in Port Orange, Florida, said. 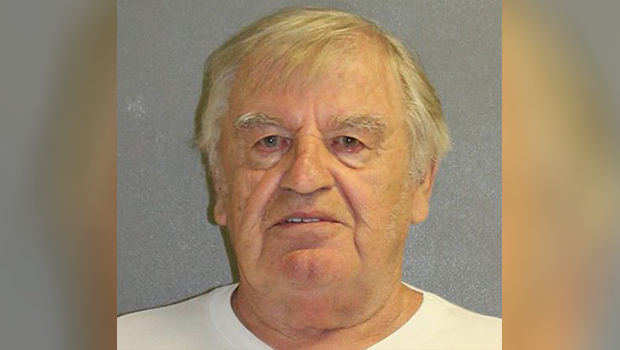 Hellmuth Kolb, 81, was charged with false imprisonment and battery, online jail records show. Police said Tracy Nigh was sitting on a bench with her child at the Walmart on Friday when Kolb approached them and began to strike up a conversation, CBS affiliate WKMG-TV reported. The talks turned personal as he asked if she was married and inquired about her daughter. "It seemed like a friendly conversation," Nigh told WKMG. "He didn't seem like a threat at first." He began asking Nigh several times if she would take money in exchange for her daughter. "The first amount was $100,000, the second amount was $150,000 and then the final amount was $200,000," Nigh told the station. "I then said, 'No, we have to go.'" As Nigh and her daughter were about to walk away, Kolb grabbed her daughter's arm, tried to pull her and kissed her wrist, according to police. Nigh pulled her daughter back and immediately left, notifying Walmart security before leaving the store, WKMG reported. The incident was caught on camera and police were able to identify Kolb based on a recent credit card transaction and another woman who posted about a similar experience on social media. Kolb was charged and later booked at the Volusia County Jail on Saturday on charges of false imprisonment and battery. He was released after posting bond and told WKMG in a brief interview that he didn't know why he was charged in the first place. Nigh posted about the experience on Facebook, warning other parents of her encounter. "Shook, rocked and shocked to the core... A man at the Port Orange Walmart offered me 200k for my child today," she wrote. "Be careful out there women and men with your daughters, wives and the all the women in your life, please!"